The president of Gorshenin Institute, Vadym Omelchenko, is confident that the West can find an "antidote" to modern terrorism by countering it with its civilizational experience. 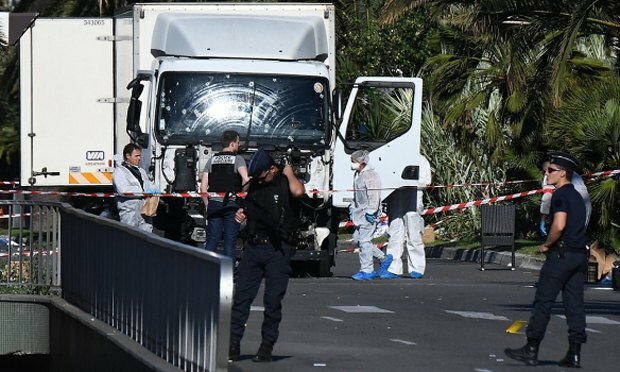 He talks about the reasons and consequences of the Nice terror act in an exclusive interview with LB.ua. 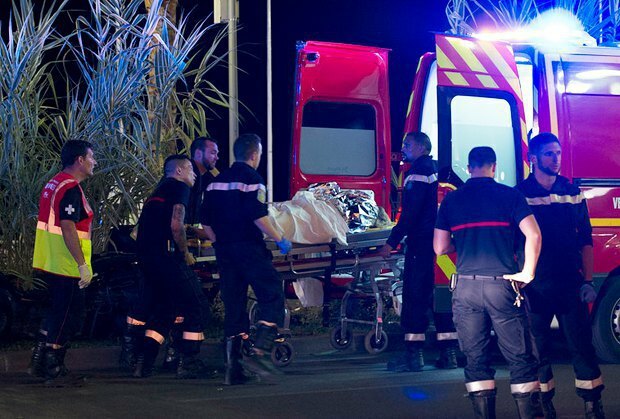 Why did France become the target of a terror attack again? The answer to this question becomes clear if you can answer the question "Who is behind this attack?" But there are reports that Islamic State (ISIS) claimed responsibility for the attack. Do you completely understand what ISIS is? I don't. Well, if it is ISIS, maybe while losing the war on its own turf, it is moving it to the Western world. 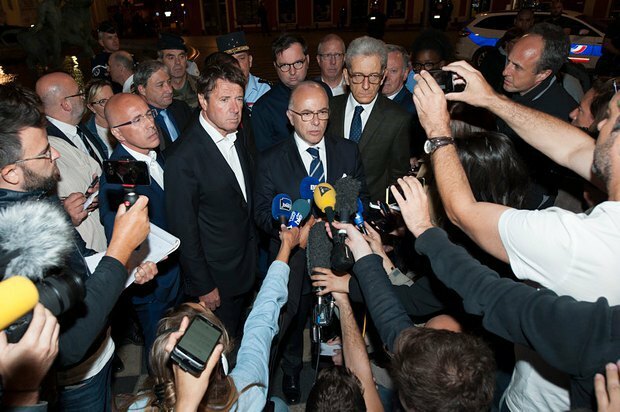 French intelligence head Patrick Calvar said today that Islamic State terrorists were changing their tactic by moving on to booby-trapped cars and explosives without inevitably having the terrorists themselves killed. What were the goals of this terror attack in France? It is impossible to analyze the attack in France without context. There are several processes on the agenda, these processes can be presented as concentric circles. As if every process is within the other one. The main of these processes is an attempt to destroy the existing world order. Inside this process is an attempt to sow discord in the EU by driving a wedge between its member states. Then there is a process of disuniting European countries along several lines - ethical, religious, class and so on. Certainly, this is a simplification. In reality, the picture is much more complex. Because it is cosmopolitan, France is a country where representatives of various ethnicities, religions and social classes live in a peaceful and exemplary manner. Nice is a very cosmopolitan city, and it is its virtue. The fact that one of the perpetrators is a Nice resident of Tunisian origin indirectly sheds light on the goal of the terror act. People of Tunisian origin are among the most populous, assimilated and integrated groups of the Nice community. Maybe the idea was to once again plant discord and mistrust among citizens, provoke the rise of xenophobic sentiments and thus consolidate the populous Muslim community for defence. Maybe there are more far-reaching goals. If you analyse the information space, news and propaganda cliches, the synchronous rhetoric of the French political opposition, you may come up with a different scale of versions. The counterterrorism operation is still on in France, which means all special services and police are on high alert. Why did they fail to prevent the terror act then? I would like to remind you that over the past six months at least several large-scale events have been held in Nice, attracting people from all over the world in higher numbers than there were yesterday. There were the Battle of Flowers and the European football championships. As far as security is concerned, the events were impeccable. It is no secret that no authorities can put up a 100-per-cent safeguard against terror attacks. In this sense it is reasonable to check what worked for the terrorists and why, and why the authorities failed and where. Very contradictory local accounts are incoming and I think there will be more shocking details soon. There are many questions already. 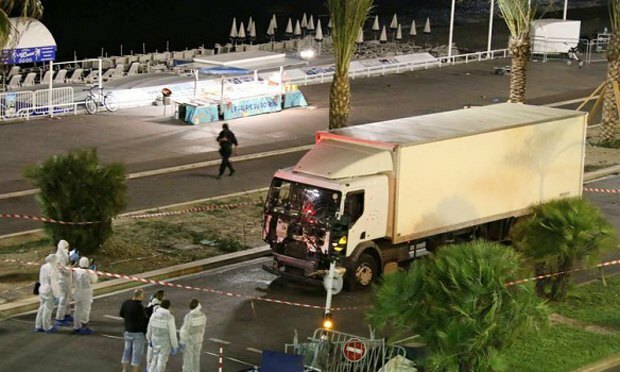 For example, how could a heavy lorry with ammo onboard break through the cordon and get to the centre of Nice at all? Why did it manage to go unimpeded for 2 km in the pedestrian zone sowing death on its way? It is not clear either how many people were killed as a result of shooting or explosions and how many were hit by the lorry. Today one thing is for sure: the crime has not been solved yet. One of the perpetrators has been identified. The step-by-step investigation will give a bigger picture. What political consequences can the terror act have? The French society is in the deepest, unprecedented shock. Will this play into the hands of the far right or other opponents of the authorities? Yes, it will. And possibly on a bigger scale than after the Paris events. First time the authorities' call to join efforts to protect French values together resonated with the public. This time it will be more difficult for the authorities. It is extremely important to say that those against whom the aggression of a part of society can be directed, which is the country's Muslim community, are also the afflicted side. Because this provocation is aimed against them above all. Those who sympathize with ethnic Frenchmen separating them from non-ethnic Frenchmen do not understand France. And it would be better if they did not come to French diplomatic missions with their plastic flowers because their flowers and condolences are as artificial and fake as propaganda cliches. To love France, you must understand it. Understand how full of sense the words - liberté, égalité, fraternité - are and how reverential the attitude to equality and fraternity is. The current situation creates an impression that Europe in general and France in particular are helpless against the advancing terrorism. Even the most traumatic shock goes away, it cannot be chronic. It is typical of human mind to squeeze out the scariest facts and threats. And gradually learn to live with them. There were similar periods in the history of humankind in the past when it seemed that the world would never be the same. The humankind always coped and it will again this time. At the price of generations which will need to live through this. The current generation is in for much pain and needs to grow significantly wiser. Europe and the whole world must leave aside the current momentary dividing issues and get to real work for the sake of future generations. In particular, an antidote against the propaganda and ideology zombification of potential terrorists is necessary. This is a serious task for psychologists, intellectuals, media and special services. Those madmen coded by propaganda must be urgently decoded. We thoroughly studied the accounts given by friends of the perpetrators of the terror acts in Belgium and Paris. And all of them say that up to a certain point in time these had been adequate, modern and sociable people. As if replaced, they once turned into unsociable, withdrawn and brainwashed robots with rather simple settings. The term of transformation is nearly identical - three to five months before the crime. What can be said for certain is that the formula planted in their head killed one of the main virtues of homo sapiens, which is empathy (the ability to understand and share the feelings of another). Because of this they no longer treated their victims as human persons. In this condition they would not be affected by the photos of the killed and missing children as a result of the Nice attack on 14 July. By understanding the code of terrorism it can be decoded. And of course resolute steps must be taken with regard to the coders. The madmen spilling blood of innocent people are undoubtedly guilty. But the guilt of those who drive these madmen crazy is even bigger and inexpiable. In particular, ideologists, propagandists and political maniacs of all sorts. One should not rely only on special services whose capacity in all countries is limited, but build a system of public and collective security using Israel's example. And this is going to work - in combination with special services' efforts. Unfortunately, Europe is currently busy with the fate of the EU, migrant quotas and other petty matters. Barbarians must be countered with civilizational experience. When people truly join forces, barbarians have little chance.